You have no doubt read about my growing up in the East End of London, during and following the Second World War, and today I am filled with nostalgia for some of the things we had then. Mother didn’t go to the supermarket for her weekly shopping. She went to the butcher, the baker, the greengrocer and the grocers for butter cheese etc. 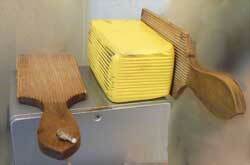 Butter and cheese were cut to order from a large slab that rested on a marble counter. Cheese was sliced with a wire and butter cut with butter pats. We were always amazed at the skill of the person cutting the cheese or butter at how close they came to the amount requested. The shopping was carried in bags and baskets – no plastic bags available then – and taken home to be put away in the larder. And growing up there were no refrigerators in houses, at least not in any houses near where we lived. 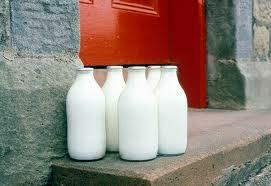 Milk was delivered to the door in bottles. These were washed and returned to the milkman the next day; so were our parents engaging in recycling without being aware of it. In May last year, I wrote about recycling and how we and our parents recycled things without even knowing that was what we were doing – That Green Thing. There was no choice; it’s just how it was. So back to the nostalgia. 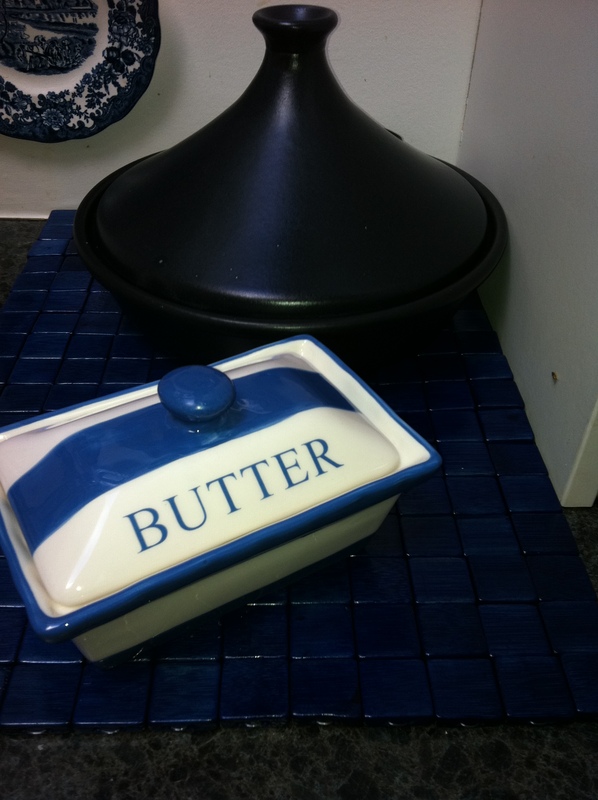 Yesterday I was in a local store and espied a butter dish. This took me way back to my early years. The butter was brought home from the store in greaseproof paper and immediately transferred to a butter dish. The one I saw was so like Mother’s that I just had to buy it. I remembered how on Sundays three little girls would be taken by their Mother to the local sweet shop to choose how they would spend their 20z ration of sweets. The sweets had to last the whole week. Having chosen the sweets were then taken home and put into the sweet jar from where we were allowed one sweet after dinner each night and an extra one after lunch at the weekend. 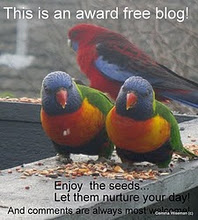 Not for us the extravagance of a whole chocolate bar or bag of sweets. 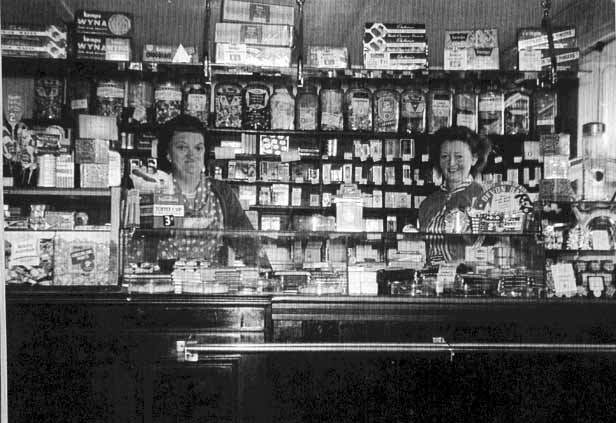 Inside a typical 1940s and 1950s sweet shop, where most sweets were weighed out for each customer from large glass jars. Photo courtesy of Send and Ripley History Society. When my children were small I carried on the tradition of the sweet jar; one candy/sweet after dinner each night and an extra one at lunchtime at the weekend. When Father returned from the war, he would use his sweet ration to buy a Mars Bar. He would take it home and proceed to cut it into slices to share with his girls. For years I thought this was the only way to eat a Mars Bar. And I did the same with my children when they were small. It certainly made a chocolate bar go far. Now if I want to I can eat a whole Mars Bar but I always slice it up first. Isn’t it amazing how things we learned when we were young stay with us through life. And then after the war when I was a little older I met a young man who was always buying me presents. How lucky can a girl get? Perfume, candies, pretty scarves and one day some Max Factor Top Secret. Do any of you remember this product? It was the early runner for today’s hair lacquer and we loved it. I remembered it during my walk down memory lane today. How innocent we all were. We didn’t have a car when I was young and so we walked, took a bus or the tube (London Underground) to wherever we were going. Buses were frequent but we always had a fairly long walk to get to the bus stop – well the walk seemed long to young girls. As a really small girl, I thought a trip on the tube was the height of excitement. To get to the ‘local’ tube station we had to walk through the local park AKA London Fields, then take a double-decker red London bus for a short ride to the underground station. We thought nothing of a half hour trip just to get to the tube. And later, when I had left school and taken my first job, this trip was done morning and evening each day.